Stretching the One Income Dollar: Happy New Year Everyone! 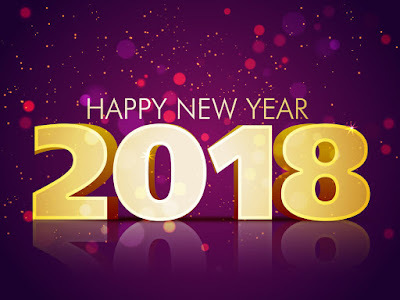 Well, I had meant to wish everyone a Happy New Year earlier in the day, (also my dad's birthday today too) but the day got away from me once again, and here it is the end of the day already- but the wish is still here- to wish everyone a very happy, healthy and prosperous New Year! I don't usually make New Year's resolutions but I do think this year I'd like to try to make one- and that would be to be more mindful. Mindful of money spent, foods we choose to eat, kindness to others, etc.. mindful. The mindful thought came to me today when doing our expenses for last month for our RV living for the month of December. Some expenses we had for the month of December were bigger than what we had in November. So, that in itself made me think we should be more mindful of what we are spending. Especially on a retirement income. Groceries were up at least $100 from last month- so that one we really want to try to look at changing. Although we weren't traveling with the RV,( except for within city limits) the gas bill for the RV was due to running the generator which is for our power. The propane is for hot water, bbq, fridge and heat. I hear it's been very cold back home so not looking forward to our heat bill for the home back home, this month either. We'll see in a week what that will be. We had a guy approach us today in the camp area that was missing his dog. Said he filed a police report too. Felt bad for the guy- no one wants to lose a pet. They are so much like family. He felt someone had stole it, but it was a pit bull and we were surprised anyone would just approach a pit bull to steal it unless they knew the dog was friendly- as he said it was. Either way- we do hope they are re-united.